Over the last few years there has been a growing discussion and dissention about the use of different frequencies for the note A. Some people passionately believe in the healing or non-healing effects of specific tunings with regard to the keynote of A. Specifically, there has been much attention devoted to A at 440 cycles per second (also known as Hertz) versus A at 432 cycles per second. To put this conversation in context, the truth is that composers, musicologists, and musicians have been arguing about “nature based” tuning methods ranging from 420 cycles to 455 cycles for an A note for over two hundred years with each one saying they are right. In fact, as Jonathan’s list indicates, the notes that have been utilized as “A” have varied immensely. For this column, let’s get “down to the facts” as the boys at Mythbusters might say. Here is a story– a story about tuning. And an understanding of it may well assist your understanding of the variety of “A”‘s, and other notes. Long ago, people made musical instruments out of wood, reeds, animal parts, clay and eventually, metal. They tuned these instruments based upon what sounded good to them. Later, they tuned them to other instruments in the community so they could play harmoniously together. There were no “cycles per second” or measurement tools to tell them which were good or “bad” vibrations per second. The concept of Hertz (cycles per second) as a tool for measurement did not even appear until the mid-1880’s thanks to the work of a physicist named Heinrich Hertz who first proved the existence of electro-magnetic waves. Before that, that nobody counted the seconds and the cycles. They just made instruments and played music. When people started traveling more in carriages and horses and moved from community to community they needed some way to tune instruments to each other. So a device was created. Like a master clock for time, wooden pitch pipes were made to tune instruments. Unfortunately they were unreliable, subject to pitch irregularity due to temperature and humidity changes. 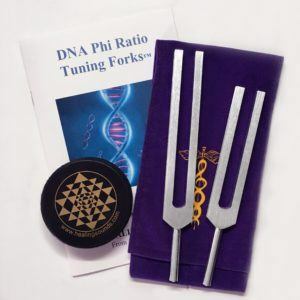 It wasn’t until the early 18th century that the tuning fork was created and credited to John Shore. Shore set the tuning of an A note around 420 cycles per second. This was the first time we set any type of standard for western music. With this first creation of an accurate device by which “concert A” could be established at a frequency, Shore happened to use approximately 420 cycles per second as the pitch of A. From that point, the battle for finding the right or perfect cycles per second for “concert A” pitch raged from 1712 through the 1930’s. The changes depended on the type of music being played, marching versus philharmonic concert music, for example; and the types of instruments featured such as strings, horn, voice, or pianoforte since certain instruments sounded better tuned in differing ways. There was often tendency to raise the tuning pitch due to the fact that sounds were perceived as louder if the pitch was higher. Thus, people liked to tune higher so they could be better heard without amplification. During these tuning battles, the range of concert pitch A moved all the way from 380 cycles per second up to 480 cycles per second. Finally, it was the singers who fought most strongly against rise in the pitch of A since the higher the pitch they had to sing, the more they felt the strain on their voices. In 1859, the French Government set A at 435 in an effort to stop the rise of A. And, subsequently changed this to 439. But because 439 was a prime number, it was changed to 440 in 1939 by a board of experts, and later agreed in 1955 and confirmed in 1975. So it stuck- 440 for A. However, even with that established convention, certain modern concert halls today still regularly use A 443 and A 445. Baroque music is often tuned at A 415. It really depends on the types of instruments that are represented in the ensemble and the type of music played. I personally think is an excellent way to arrive at tuning. I played for many years in jazz, rock, and blues bands during the 70’s and 80’s. We just tuned to each other to arrive at our proper pitch. We never used a tuning fork. We did not worry that we were out of tune with some abstract reference pitch. We tuned to OURSELVES, our inner vibration of what felt to be correct. We focused on our environment, our surrounding players and created the best sounds. Sometimes in a theater there would be a particularly bad resonance at a particular frequency, so we would tune slightly up or down. What this all comes down to in this battle of the perfect cycles per second is really convenience. What is a convenient way to tune instruments so we all can play together? And what instruments sound better at what frequency for the music we are playing? Tune in to the music. Forget about the story of what is right or wrong and really listen to the sounds! Tune in to yourself, each other, your instruments and your audience. Incidentally, cycles are just cycles-a way we measure vibration. And pure vibration, in and of itself, is not good or bad, sonorous or dissonant, cool or uncool. It’s all in the way we perceive it. For example, in the early evolutions of jazz, many people found the usage of harmonies such as flatted 9’s, 13’s, and fifths to be demoniacal abominations. But then, after people got used to the tonalities, they thought it was cool and the “other stuff” was boring and simple. So my friends, ponder this: It is not the sound itself that is good or bad but the way you use it; your intention, focus, and pureness of heart that you bring to things. Oddly, people no longer talk much about just intonation versus equal temperament but, believe it or not, that is a huge and more valid discussion with regard to the effects of music. An understanding of this can dramatically alter the whole 432 versus 440 concept. We will discuss this topic more in a future installment. 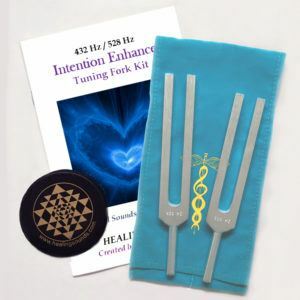 A pioneer in the field of Sound Healing, Chuck Wilson’s work is enriched by over thirty years of study in the fields of music, consciousness and psycho-acoustics. 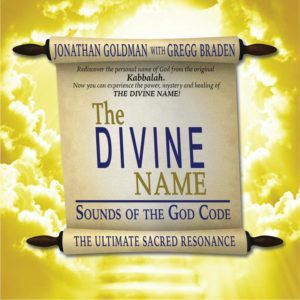 As a musician, sound engineer, and workshop facilitator, he is one of the leading proponents of the therapeutic properties of sound. Chuck has presented his work worldwide at hospitals, healing retreat centers, and Mind/Body/Spirit conferences. A former trainer for the Monroe Institute, Chuck is also a gifted composer of exceptional diversity who has collaborated with many well known artists and has successfully developed and marketed numerous relaxation recordings for companies such as Tools for Exploration, Nightingale Conant, and Readers Digest. John Shore’s tuning fork, a pitch of A423.5 He invented the tuning fork, one of which still exists today. Gottfried Silbermann built the organ in the main Roman Catholic church in Dresden, and it had a pitch of A 415 at the time. George Smart adopted for the Philharmonic Society the pitch of A423.3. Westminster Abbey organ and possibly Paris Comic Opera used a pitch of A422.5. Steinway of England A 454. Steinway may have been using a pitch of A436. According to Steinway of New York, 1880 is right around the time they switched from three piece rims to the continuous rim that is used today. So it is unlikely the pitch was any higher before 1880, yet Steinway of London had a fork A454.7. In Vienna a pitch of A435.4 was adopted at a temperature of 59 degrees Fahrenheit for A. At an international exhibition of inventions and music in London a pitch of A452 was adopted. On the 11th of June the American music industry adopted A440. At an international conference A440 was adopted. PreviousPrevious post:The Smorgasbord of SoundNextNext post:Channeled Music?